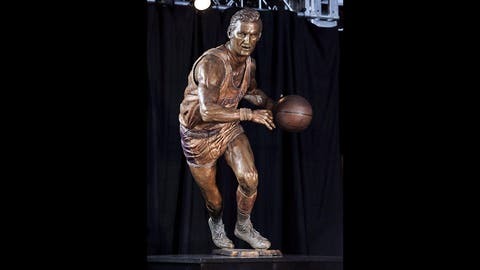 The iconic Jerry West still has the golden touch. Jerry West’s shot is legendary. Mr. Clutch didn’t seem to miss much during his NBA career, earning his spot among the league’s legends. Time hasn’t done anything to diminish his touch. Check out a recent dead-eye shooting exhibition the Hall of Famer and former Laker great put on for some students. For those of you who wonder how he picked up his nickname, check out this shot that forced overtime in an NBA Finals game with the New York Knicks in 1970. There wasn’t a 3-point shot then or else he would have won the game for the Lakers.